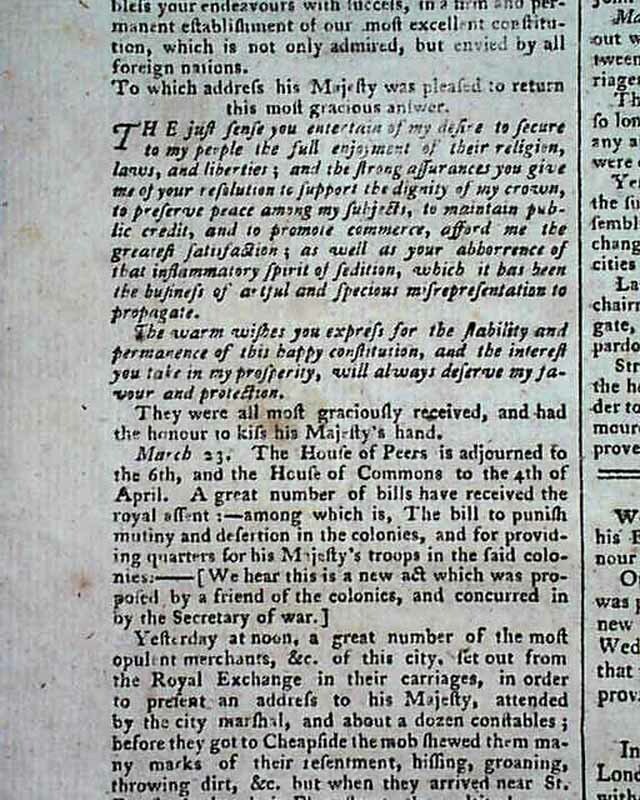 An inside page has a letter which talks of concerns about relations with America. 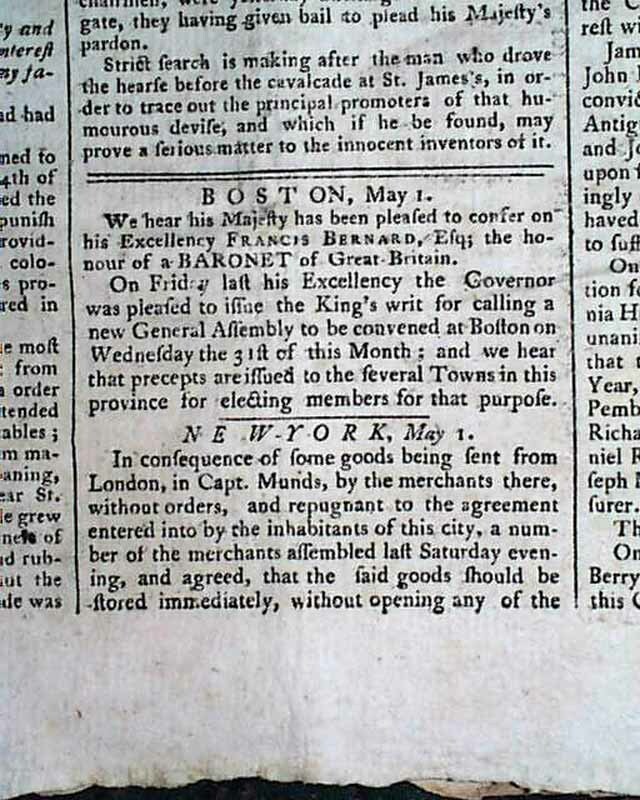 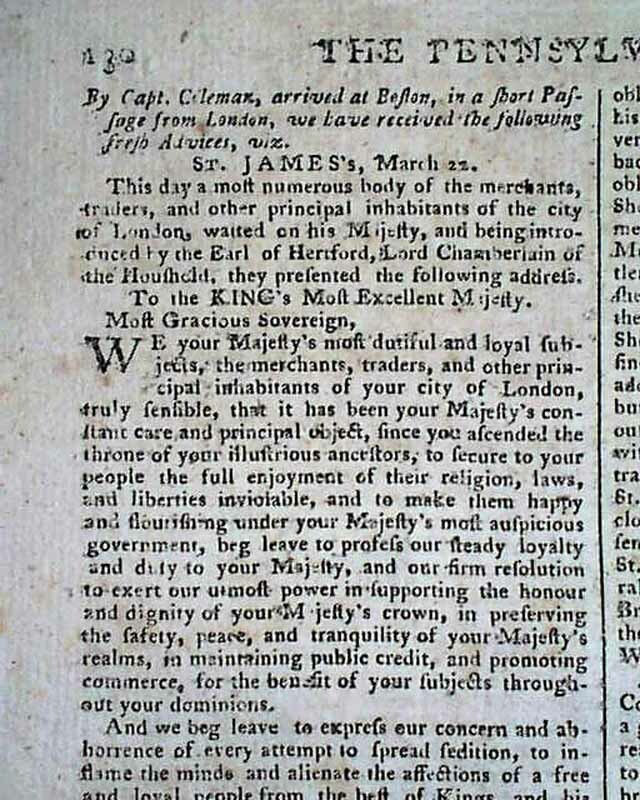 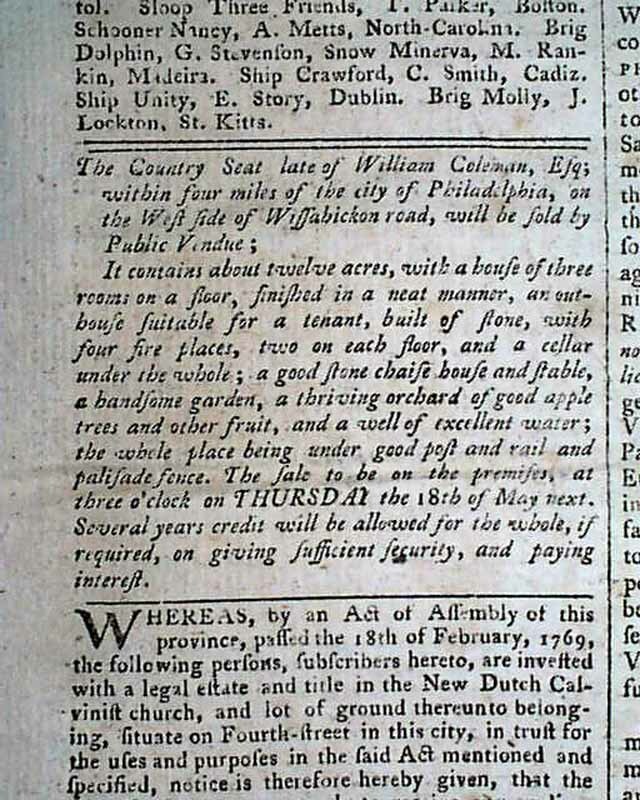 Included is a mention of the East India Company, a report from the Clergy and Freeholders of the County of Middlesex, with block signature of John Wilkes, and a lengthy report out of Philadelphia (see photos). 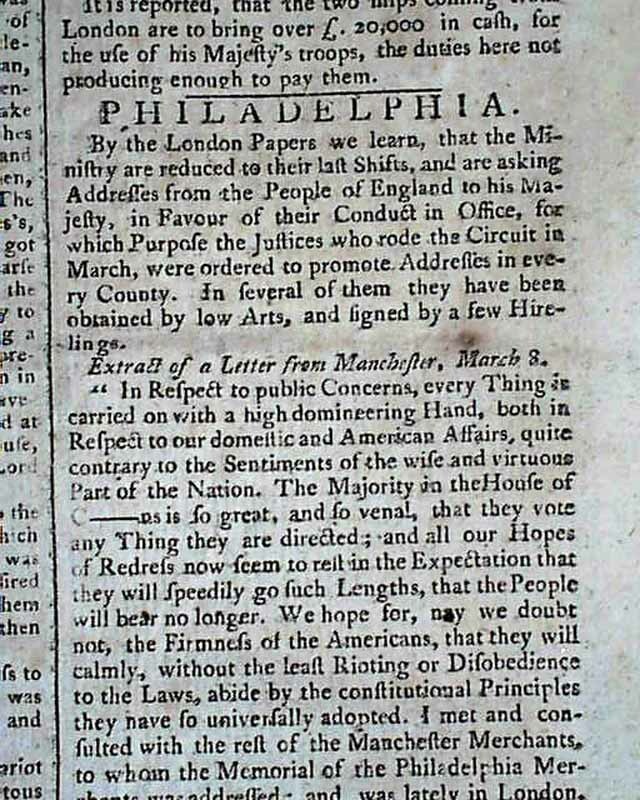 A page 2 report from London notes: "It is reported that some of the acts complained of by the Americans will be suspended." 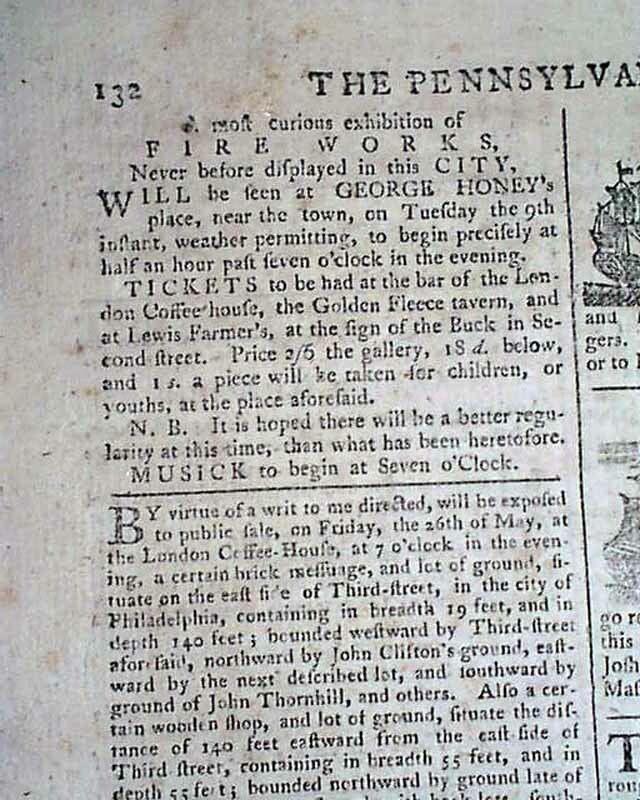 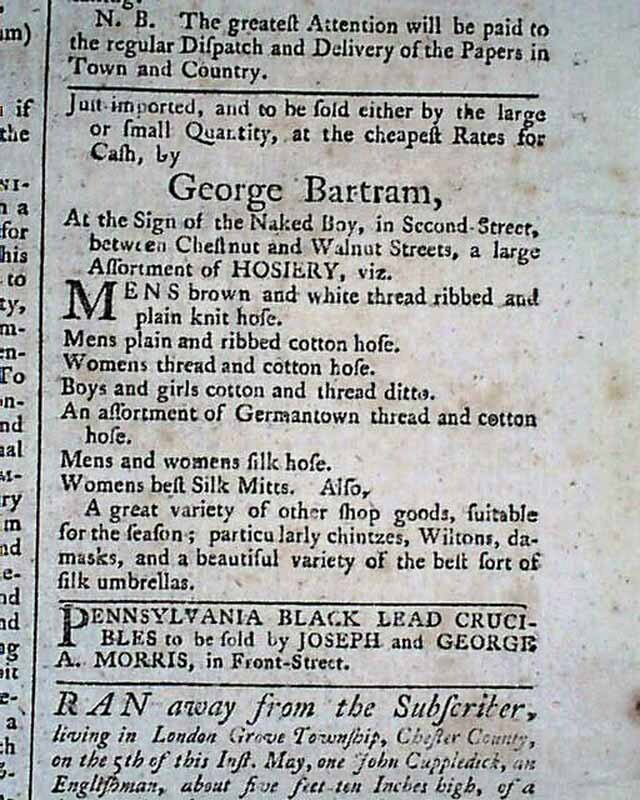 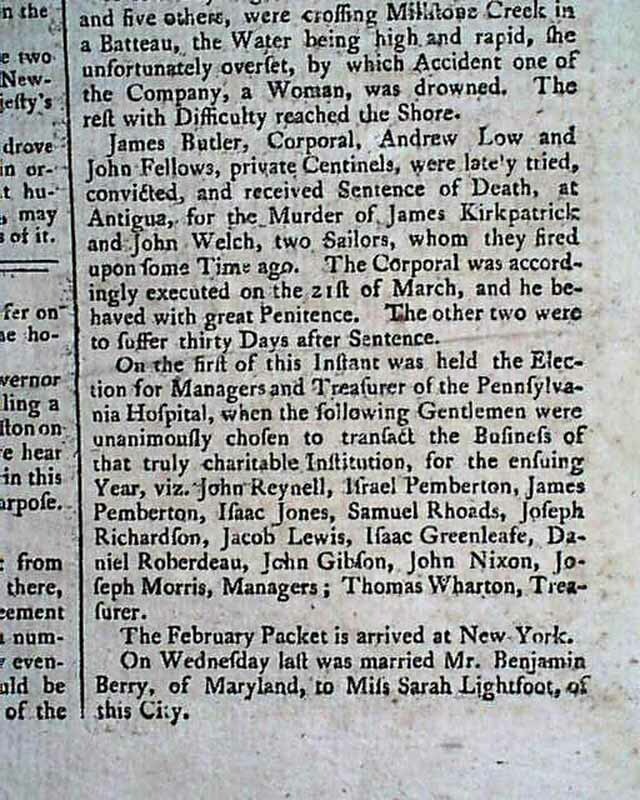 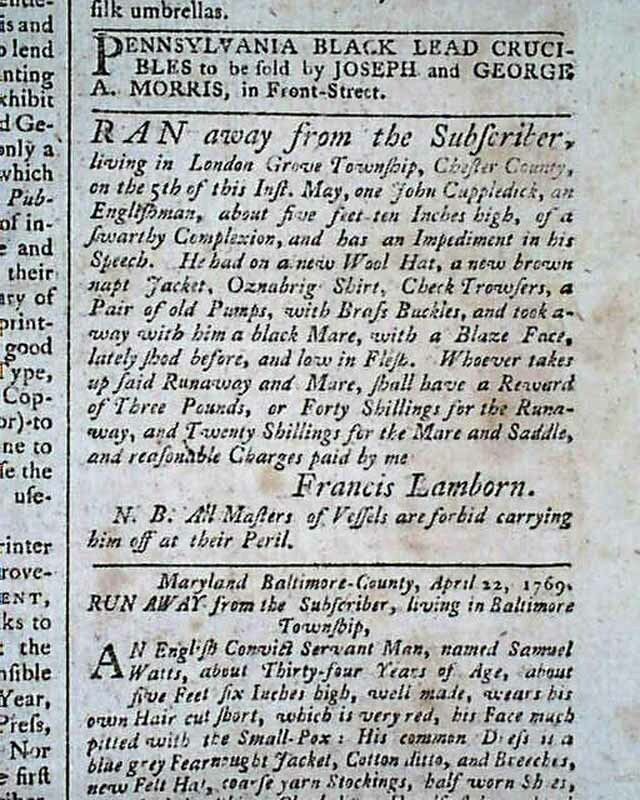 Other various news of the day and many ads, including slave ads, as well. 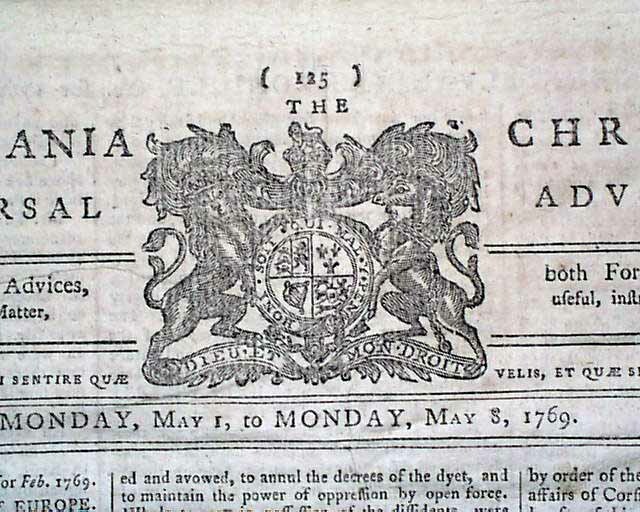 Nice coat-of-arms engraving in the masthead. 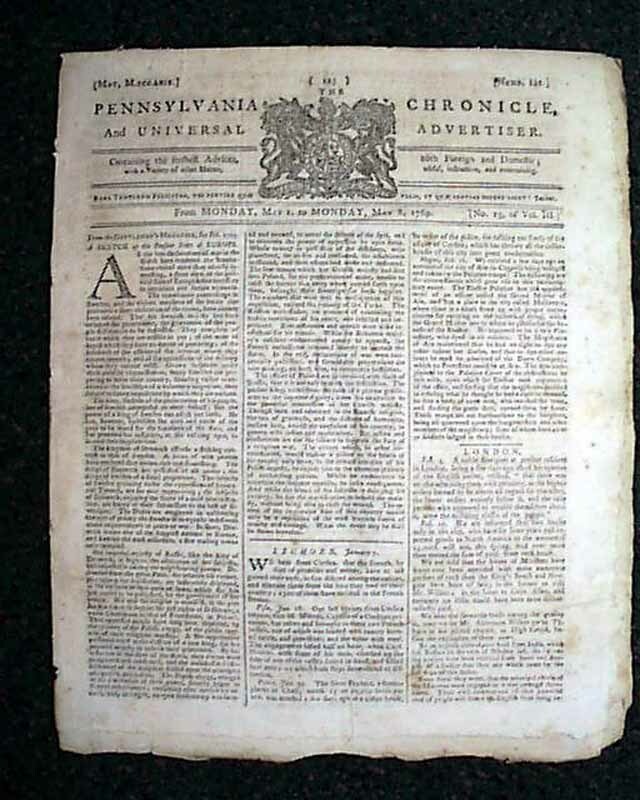 Eight pages, 9 3/4 by 12 1/4 inches, never-trimmed margins, nice condition.